Arnold Law, LLC: When to Call a Lawyer. If you watch television, you would think that you should have a personal injury lawyer on speed dial. The hope, of course is that you never need one. In the calm of day, with no imminent emergency (I hope) this may be a good time to cover some of the timing issues of when to call an attorney after an accident. When should your make that call? 1. Beware of the statute of limitations of how long you have to file AFTER an accident. 2. Follow the rules. When do you need to file a police report? 3. Your insurance company may NOT have your best interests at heart. 4. You may not know the full extent of your potential damages. 5. Proving liability is no “piece of cake”. When and if you need a hard-working personal injury attorney in the Baltimore area I am a phone call away. My name is Briana Arnold. 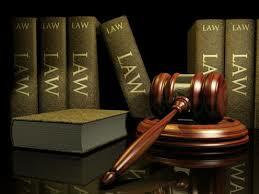 If you call, I will give you my full attention in assessing your particular case. Please arrange an appointment at my office located in Baltimore’s Commerce Center East by calling (410) 484-1400.